As part of the QA strategy assessment, Rainforest can identify areas of your product that are missing test coverage, leveraging usage data from your production environment. Currently, we integrate with Google Analytics. 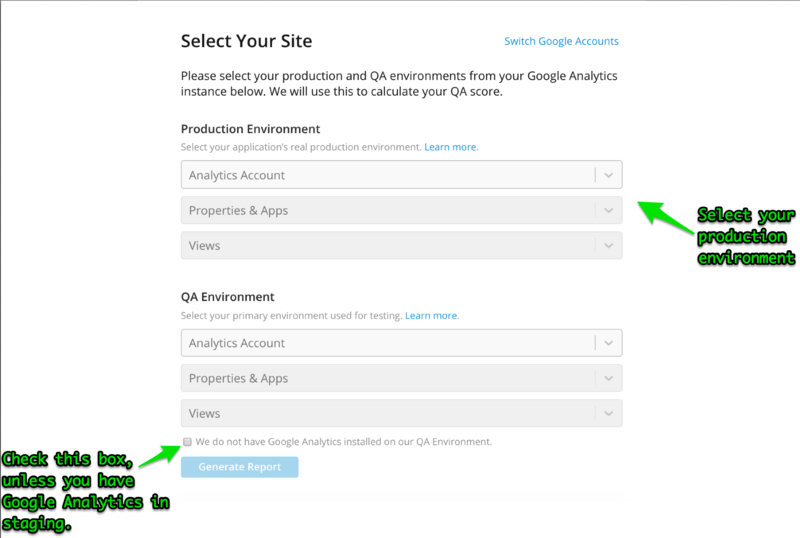 Navigate to https://coverage.rainforestqa.com and click "Connect with Google Analytics"
Select your production environment, and check the box "We do not have Google Analytics installed on our QA Environment." – then click "Submit"
Once you follow these steps, Rainforest will generate and send a report for your team within 48 hours via email. The data collected by True Coverage contains no personally identifiable information and is limited only to page names and number of views. This data is never shared with third parties and is only used to generate the report. If you wish to have this data deleted, just let us know.